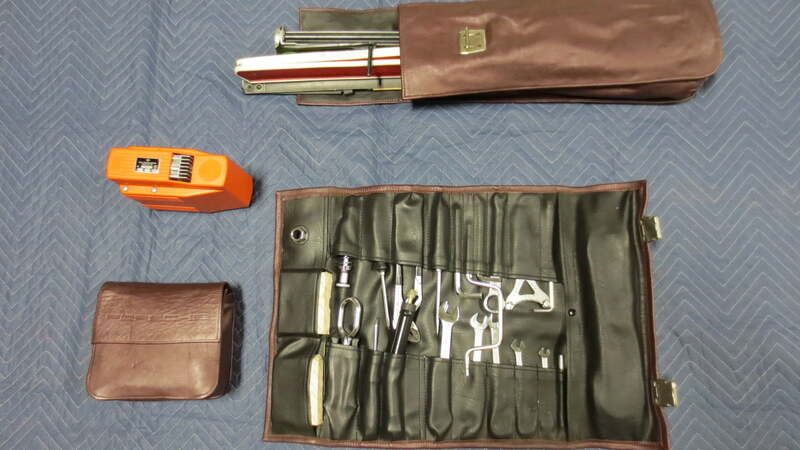 If you were a kid growing up in the 1980s and had a sweet spot in your heart for high-performance automobiles, the chances of having a poster of the Porsche 959 or its rival, the Ferrari F40, hung on the bedroom wall were high. 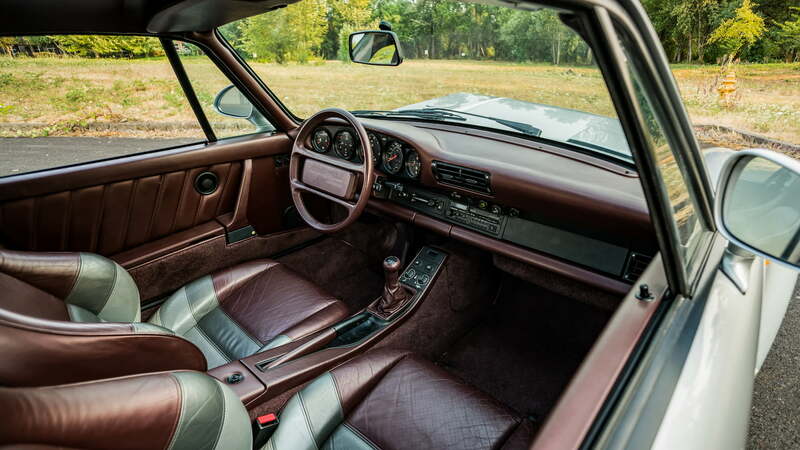 This particular 1987 959 Komfort will be crossing the auction block during the 2018 Monterey Car Week, from Aug. 23-25. 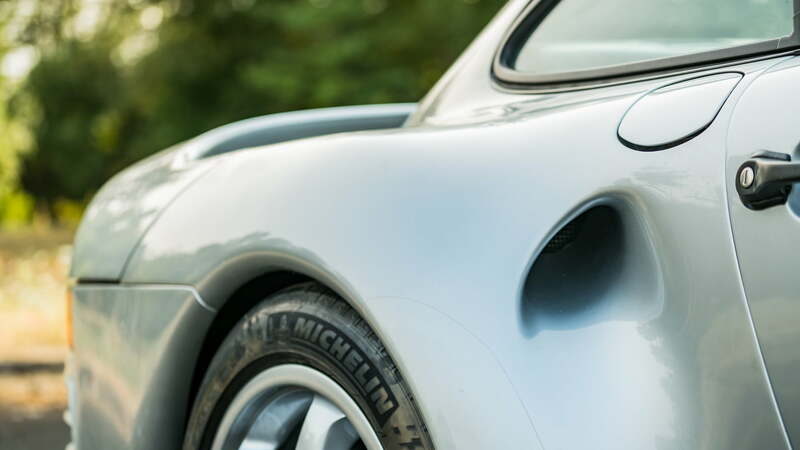 However, the biggest quirk on this 959 is the damage sustained on the right front. 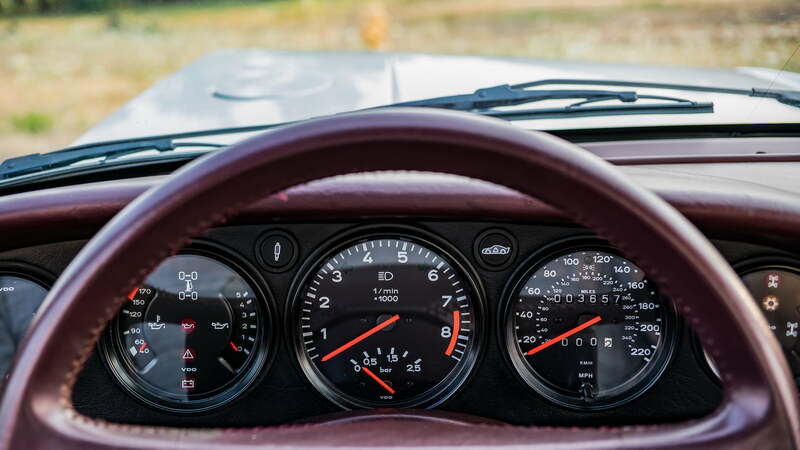 Now, when Porsche introduced the 959 in 1986, it unleashed a technological marvel which was capable of sprinting to 60 mph from a standstill in just 3.6 seconds and had a factory top speed of 197 mph. 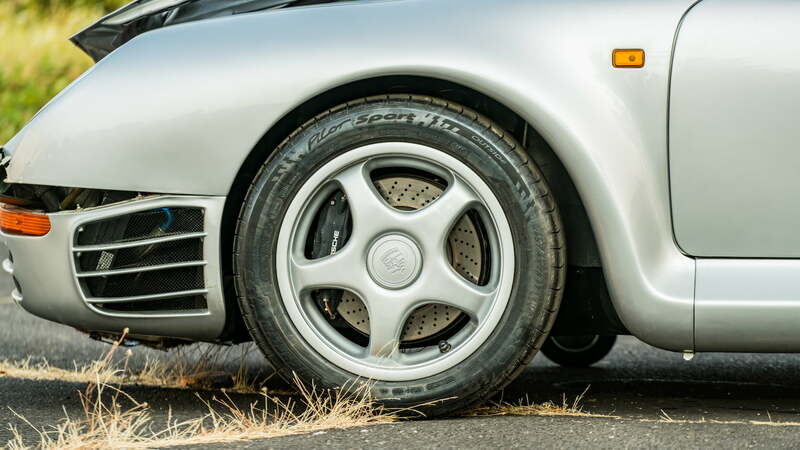 The 959 was also the first supercar back in the day to utilize twin-turbochargers, composite body components, an all-wheel-drive system, and anti-lock brakes. 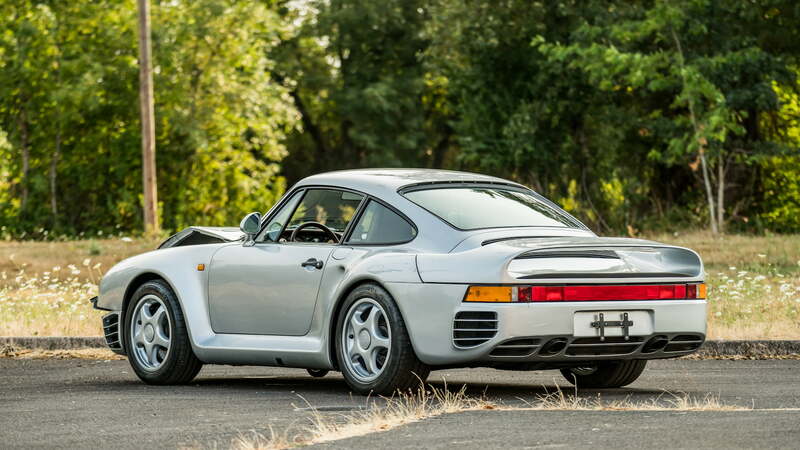 The heart of the 959 was a detuned version of the 962 race engine and had a displacement of just 2.85-liters, but with the introduction of twin sequential turbochargers, the engine was capable of producing a respectable 444-horsepower. After debuting in the 959 in 1986, Porsche's all-wheel-drive system entered into mainstream production in the 1990 911 Carrera 4. 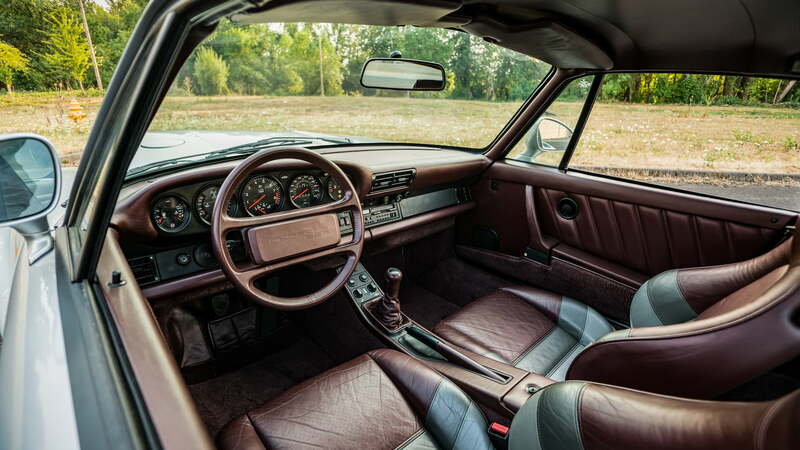 The twin sequential turbochargers later made their way into the 993 generation of the 911 Turbo. 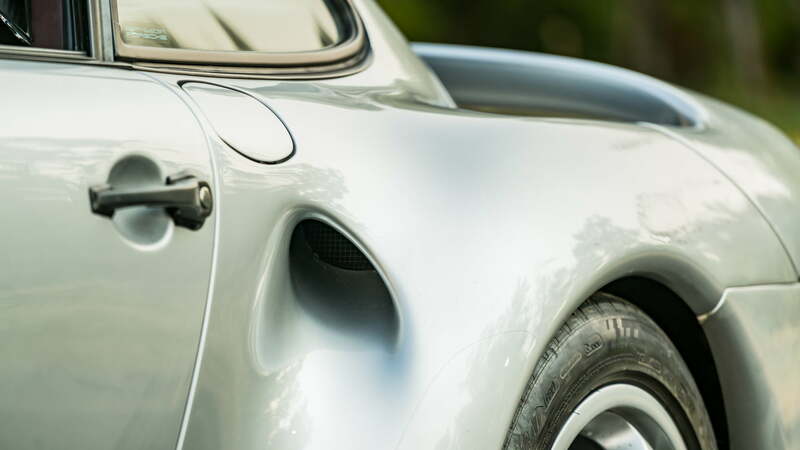 The composite bodywork with Kevlar technology was also used in the production of the Porsche Carrera GT and the 918 Spyder. 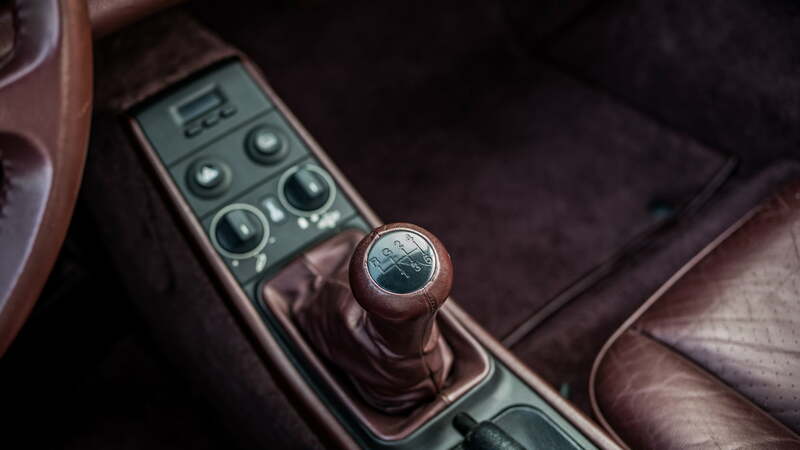 The Silver Metallic 959 with Burgundy leather interior up for auction this weekend is just 1 of 294 959 models made in the Komfort specification. 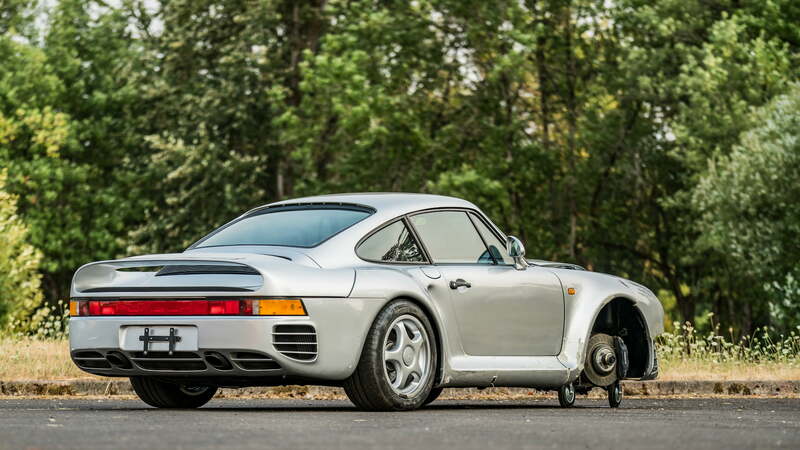 Since rolling off the factory line in 1987, this 959 has covered just 3,657 miles. 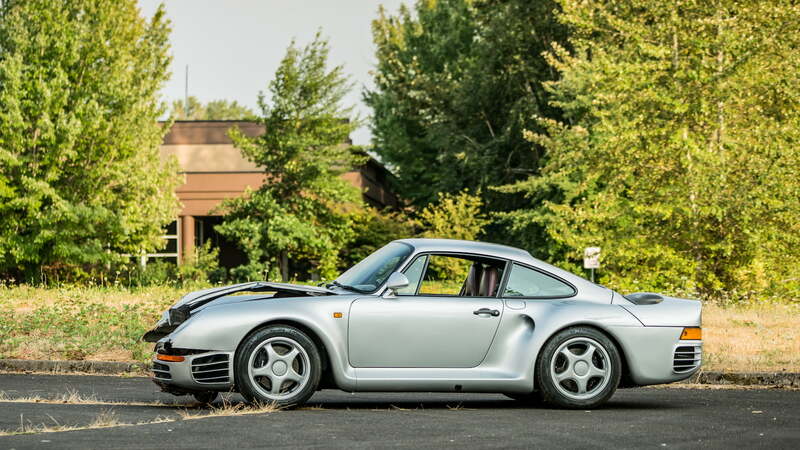 This 959 also features adjustable ride height and suspension dampening, port fuel injection, a six-speed manual transmission, power windows and seats, Blaupunkt radio, five-spoke alloy wheels, books and tools along with all of the other legendary features that were previously mentioned. 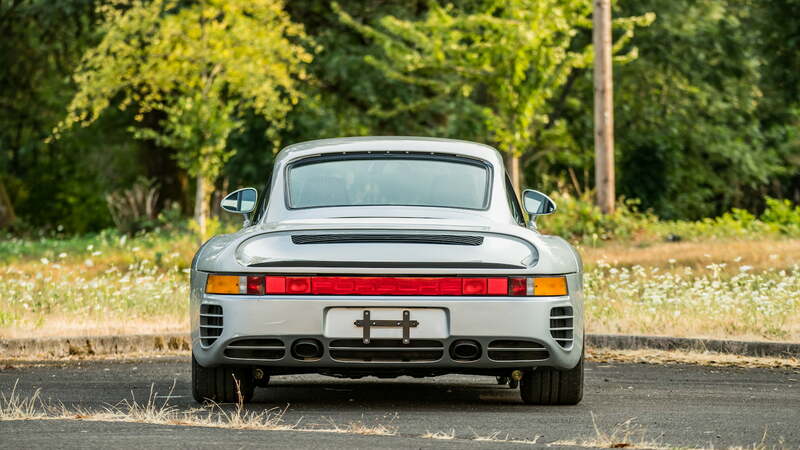 Based on the images (and a video) provided by Mecum Auctions, the Porsche 959 looks relatively intact, is able to start, and is driveable. 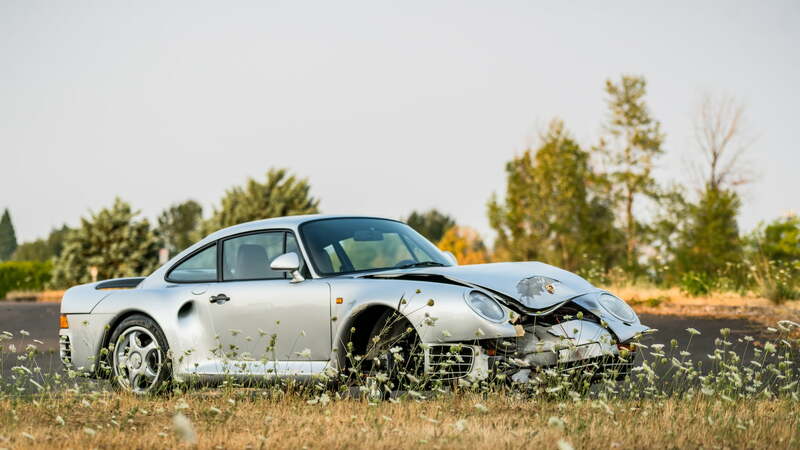 In order to completely restore the 959 back to its glory days, the new owner will certainly need a new hood, front bumper, right front fender, new suspension and brake components, and any other miscellaneous trims missing behind the bumper. 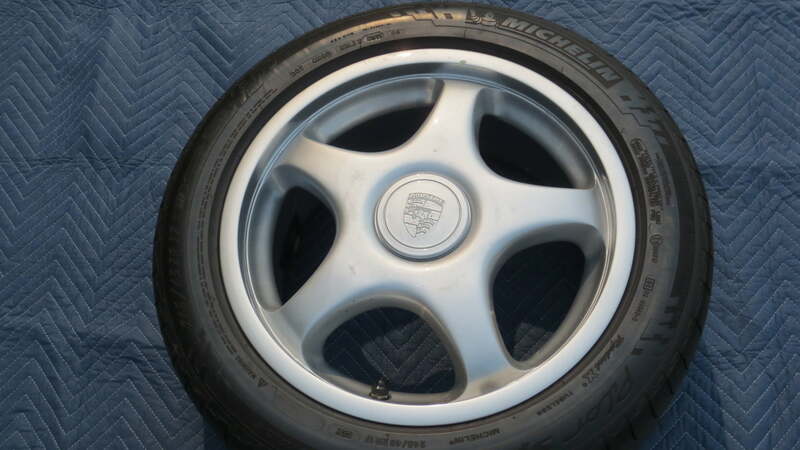 However, there is some good news because a spare five-spoke front tire is included with the car. 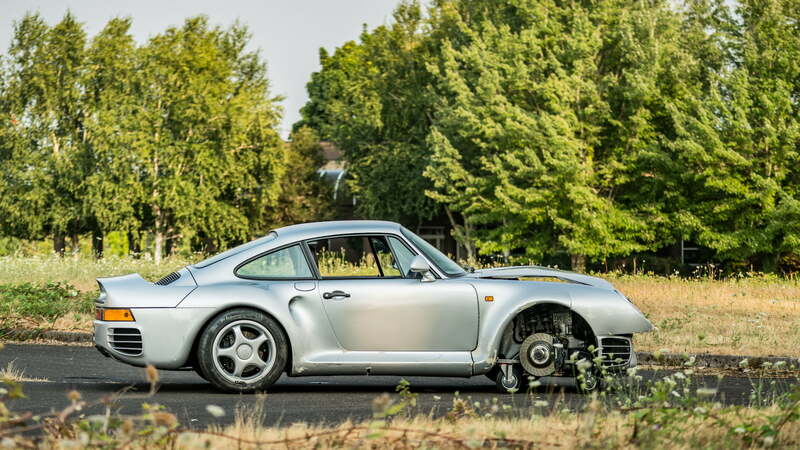 Even with the cosmetic and mechanical damage, Mecum auctioneers estimate that this 959 will bring in a bid between $450,000 and $550,000 when it crosses the auction block on Friday, Aug. 24, during the Pebble Beach vintage car celebration. 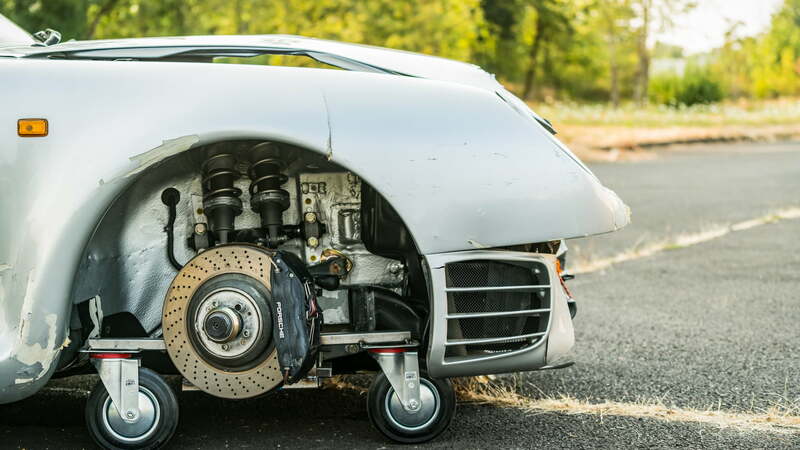 In the video below, you can see that the 959 is still driveable, albeit very slowly.